Exercise has umpteen benefits for your health, weight loss and even your skin. It can keep your heart healthy and protect you from so many diseases. But a new research tells us just how important exercise is for your health. 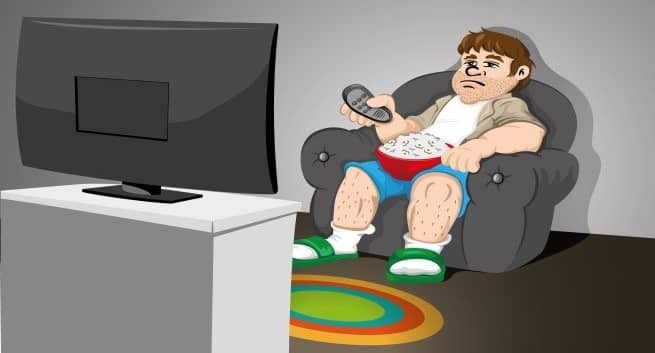 Researchers and author of the study published in the journal JAMA Network Open say that a sedentary lifestyle is worse for health than smoking, diabetes and heart disease. This simply means that ‘being unfit on a treadmill or in an exercise stress test has a worse prognosis, as far as death, than being hypertensive, being diabetic or being a current smoker,’ according to Wael Jaber, senior author of the study. Simply put, you can just keep away from smoking and other vices to be healthy, you’ve actually got to pick up your gym shoes and head to your workout sessions! The research studied 122,007 patients who underwent exercise treadmill testing to measure all-cause mortality relating to the benefits of exercise and fitness. Those with the lowest exercise rate accounted for 12% of the participants. A big take away from the research is that fitness leads to a longer life. It also reveals that ‘ultra exercisers,’ popularly believed to have been are at a higher risk of death, are actually not and that the ultra-fit still have lower mortality. When it comes to the benefits of exercise, your age and gender also apparently don’t matter. However, it is ‘probably a little more pronounced in females,’ Jaber said. The risks, he said, became more shocking when comparing those who don’t exercise much. Just can’t yourself up to exercise? Follow these tips to get moving! Keep your workout clothes ready a night before. Better still, sleep in your workout clothes. This way, when you wake up, you will be all ready to go to the gym. Get a friend to sign up with you. Workout buddies are fun to do exercises with and motivate each other. Make a playlist of songs you love and listen to it only when you work out. Listening to music while running or doing any other kind of activity has shown to increase stamina because it distracts you from pain and stress. Treat yourself ( go shopping or for a trip or a salon and pamper yourself) every month or week after completing a certain number of sessions or reaching a specific target.